This week we’re teaming up with Amazon to bring you a “magical” craft in celebration of the launch of Niko and the Sword of Light! 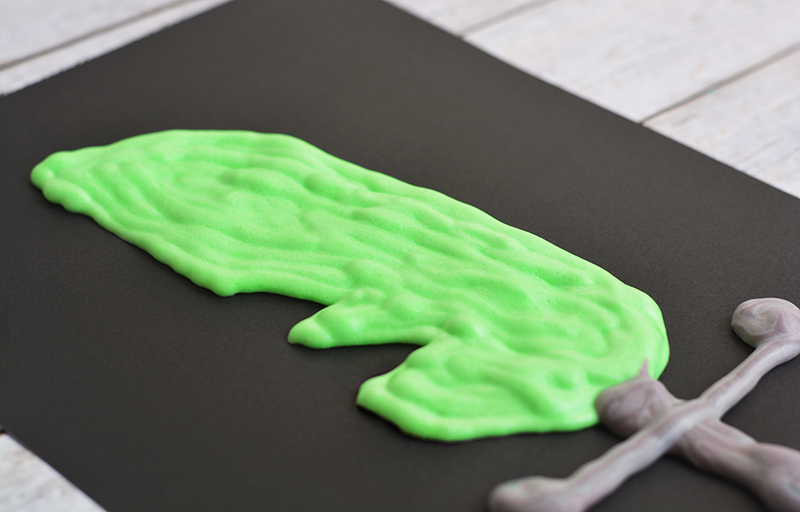 This is an easy DIY recipe that even the kids can help with. 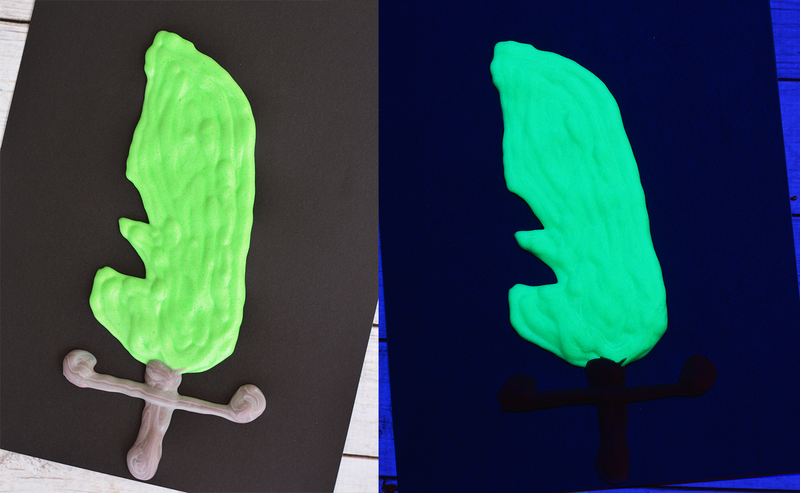 My kids love the 3d effect that the puffy paint gives and we added a little magical touch by making it glow in the dark so we could recreate Niko’s sword! 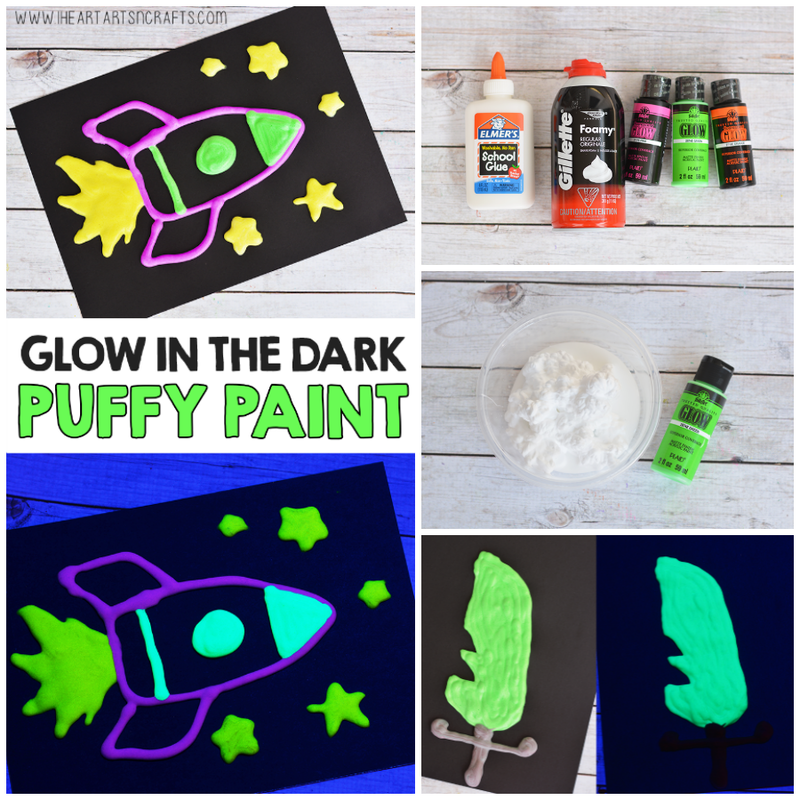 Celebrate the launch with us by having your own glow in the dark paint party! You can watch the video for the tutorial or follow the directions below! 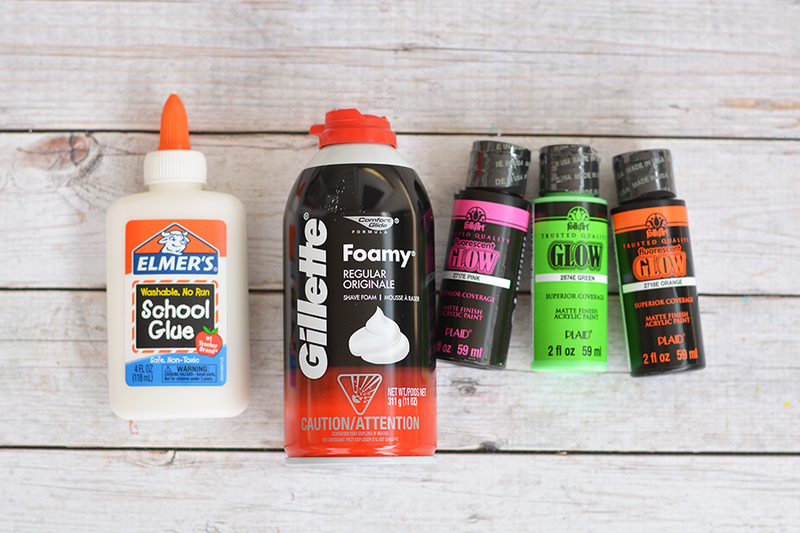 Start the puffy paint mixture by mixing equal parts of white school glue and shaving cream together. 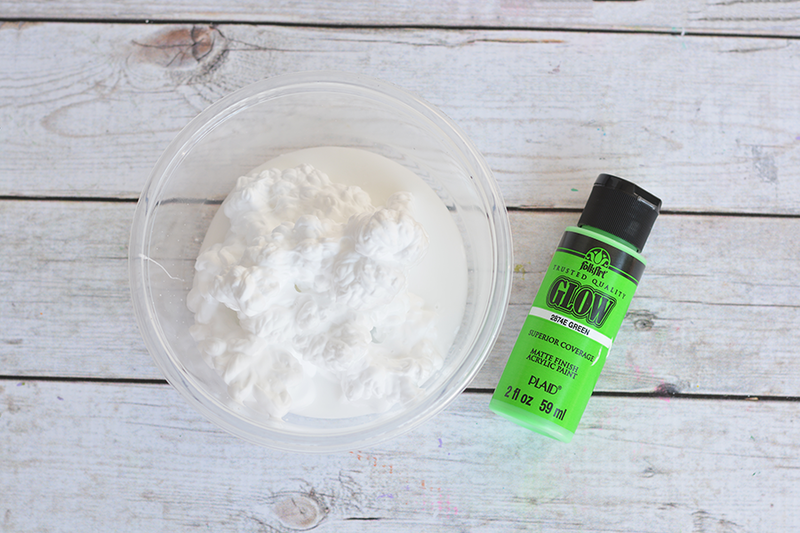 Next take your glow in the dark paint and mix some into the puffy paint mixture until you get your desired color. After you’ve mixed that all up you can either apply your paint using paint brushes or we took a zipper bag and just cut off the corner so the kids could squeeze out the paint in neater patterns. Before you premiere the show, set up some black lights and set out your glow in the dark paint. Our kids were so excited to see their artwork glow while they painted. You can challenge everyone to try to recreate Niko’s sword. To create the sword I used the green glow in the dark paint and then mixed up some regular black paint for the swords handle. Once the paintings are dry they stay puffy and soft to touch. My kids loved their drawings so much they ended up hanging them up in their rooms so that they can glow at night while they sleep. We also did some neat outer space drawings, bugs, and more. Be creative the possiblities are endless!